Is Facebook Now Charging Page Owners to Interact With Their Fans? Several new messages are circulating on Facebook stating that Page owners will have to pay up if they want their posts seen by those who have liked their page. The correct answer is yes and no. Yes you can, but Facebook is NOT requiring Pages to pay to interact with their fans. Of course the argument could be made that your level of engagement will be increased if you do, but it is purely optional at this point. 1.) Facebook recently introduced a feature that will let INDIVIDUALS pay to highlight a Status Update. Shortly thereafter, Facebook also expanded this ability to Facebook Pages. Promoted Posts gives page owners the ability to pony up cash to to promote new status updates to their Facebook fans. Pretty clever on Facebook’s part – they use EdgeRank to minimize user engagement with fan pages, then charge page owners a fee to increase exposure to their existing user base. It looks like the price range for promoting posts is between $5.00 and $300.00. This is being rolled out, so all pages wont have access to it just yet. 2.) Facebook has just gone public, and they are feeling the pressure to increase revenue and become more profitable. Their primary revenue stream is advertising. If they can convince administrators that there is value in paying to promote their page, then they obviously will make more money. In light of this, Facebook could be ramping up their marketing and promotions to page admins. 3.) Facebook’s EdgeRank algorithm does affect what users see in their Newsfeed. Facebook knows better than you do what you would like to see on your Wall. [insert sarcasm here] If users comment, like, or share items from a particular page, then the page is more likely to appear in their Newsfeed. Most page admins are aware of this, and the disingenuous ones could be using the current FUD (Fear, Uncertainty and Doubt) to their advantage. 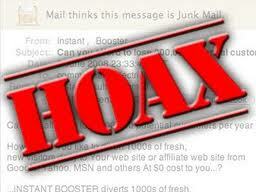 Many users are surprised when they first realize their Newsfeed items are determined by EdgeRank. 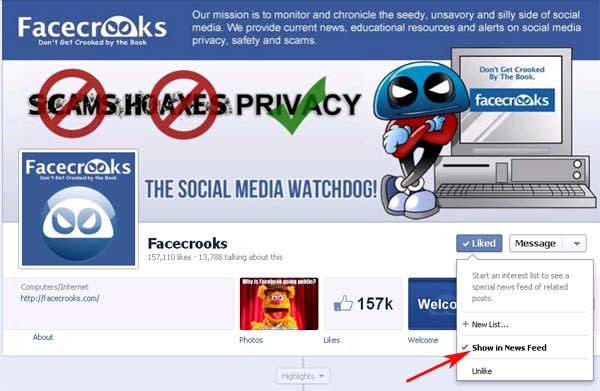 We have often encouraged our readers to use Facebook lists to bypass the feature. Customized lists gives you the ability to filter your Newsfeed and include everything you want on it. If you want to make sure you never miss an update from any of your friends and pages, then simply create a list and put all of your friends and pages on it. Also, when you like a page, be sure to check the “Include in Newsfeed” option if you want to receive all of their updates.